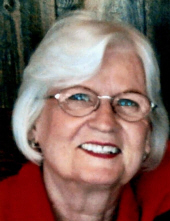 Ardith M. Wood, 88, of Mason City, went home to be with her Lord and Savior, Jesus Christ, on Wednesday, February 6, 2019 at the I.O.O.F. Home in Mason City. Funeral services will be held 2:00 P.M., Tuesday, February 12, 2019 at First Assembly of God Church in Mason City with Pastor George Ady officiating. Burial will be at Memorial Park Cemetery. To send flowers or a remembrance gift to the family of Ardith M. Wood, please visit our Tribute Store. "Email Address" would like to share the life celebration of Ardith M. Wood. Click on the "link" to go to share a favorite memory or leave a condolence message for the family.